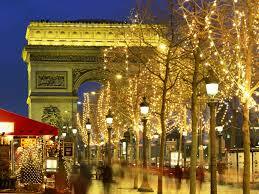 Christmas has a deep religious significance as far as the French are conce rned. France conforms mostly to the Catholic traditions in celebrating the birth of the Immaculate Child. It is almost a month long celebration filled with color and music and sumptuous food. Christmas mood is set, right from the end of November when Christmas markets begin to appear in the country. On 6th of December with the St. Nicholas day, the festivities start in earnest. Colorful light decorations begin to be erected along the streets and buildings. Churches begin to echo with Christmas songs. 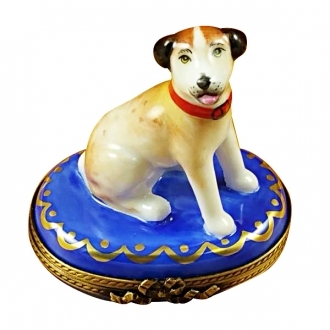 This continues till 6th January, the12th day of Christmas. 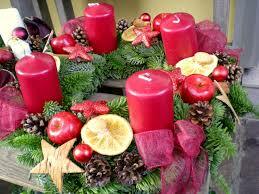 Most of the families start Christmas rituals with Advent. Advent starts four Sundays before Christmas. The French people make their Advent wreaths with pine branches and decorate them with pine cone, ribbons and other decorations. Four candles are fixed on the wreath. These candles will be lighted on Sundays – one on the first, two on the second, three on the third and all the four on the last Advent Sunday. The custom of Advent calendar also prevails in France. This is a way of countdown till Christmas, especially for children. Opening the window of the calendar they will get sweet s and other gifts each day. The religious families in France fast on the previous day of Christmas. Christmas Eve is the day of the big meal in France. They keep awake throughout the night of the Christmas Eve. After attending the midnight mass, they come home to consume the festive dinner which includes a number of delicious dishes and wines. This dinner is known as ‘La Reveillon’. The dinner is served on a specially decorated table and it usually g oes on for hours. After the dinner or during the dinner the children open their gifts, which are filled in their boots at the foot of the Christmas tree. In France children place shoes and boots instead of socks to receive gifts from the Père Noël or Father Christmas. Each family sets a nativity scene in its living room. This is termed as crèches. In this, small clay figurines of the holy family are placed. 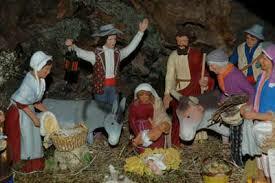 Usually the figurines of the three wise kings and other rustic figures are also placed with them. Children gather around them every night to sing carols. This continues till Epiphany. This day is also a day for family get together. The family goes to attend the Christmas Day mass. Feasting continues on this day also. People come together to eat the leftovers from the previous night’s delicacies. 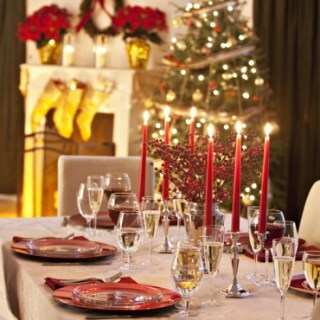 On 6th January the Christmas festivities come to an end with another feast. 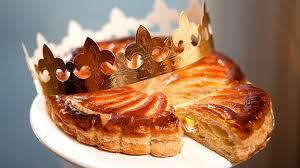 In this feast a special cake called 'Galette des Rois' is served. 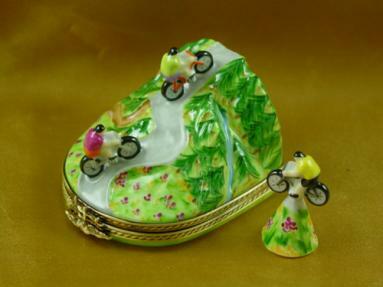 The cake contains a small plastic figurine or a toy crown in it. 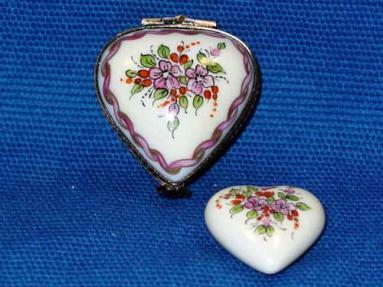 The person who gets the piece with it is honored. Many people dress up like shepherds and walk around in procession along the streets and around th e churches, singing Christmas carols. Cherry wood is used as Yule logs in France. 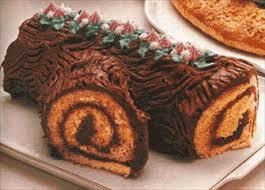 A cake roll frosted to look like a log is used as a dessert during Christmas. Christmas trees were not a part of French Christmas traditions earlier. It came into practice only from 14th century. Now most families install a Christmas tree in their living room at the foot of which children place their boots and shoes. Many people keep burning candles expecting Mary to pass by with the divine Infant. 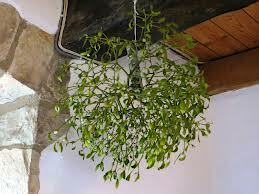 It is believed that hanging mistletoe over the entrance of the house during Christmas will bring good luck for the coming year. H: 1.00" W: 1.50" L: 1.50"
H: 2.50" W: 1.50" L: 2.50"
H: 2.00" W: 2.50" L: 2.25"